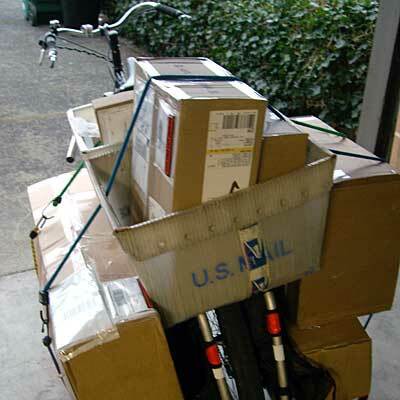 That’s a load of Clip-n-Seals, Bike Hugger Jerseys, and Shirts on the Bettie and en route to Amazon.com for the holidays. 7 packages, a hundred pounds, carbon offsetting, and quite fun to show up at the mail depot on Bettie. Check the Bettie Delivers movie from earlier in the year for more.